3 Trim ends of carrots & peel. 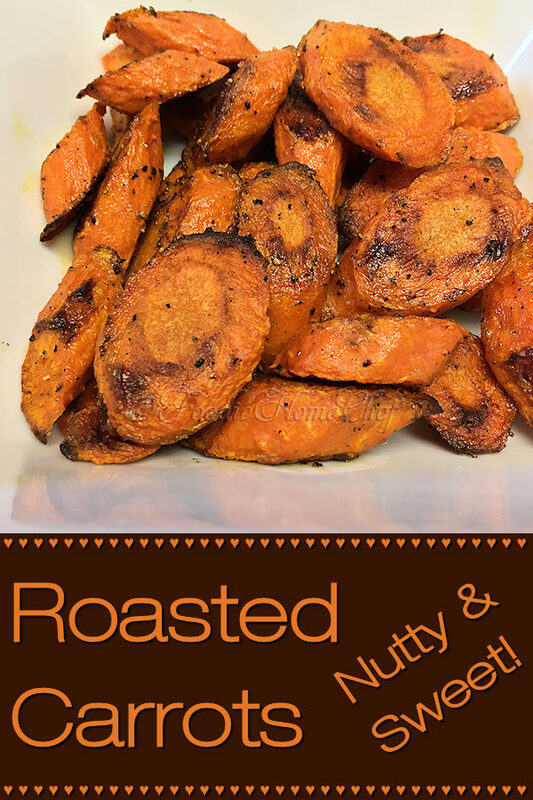 Diagonally cut the fat end of each carrot into 1/2' slices & as you approach the thinner end make the slices longer 3/4" to 1" at the thinnest part. 4 Place carrots in a 2.5 quart bowl & drizzle with 1 Tblsp EVOO & toss till well coated. 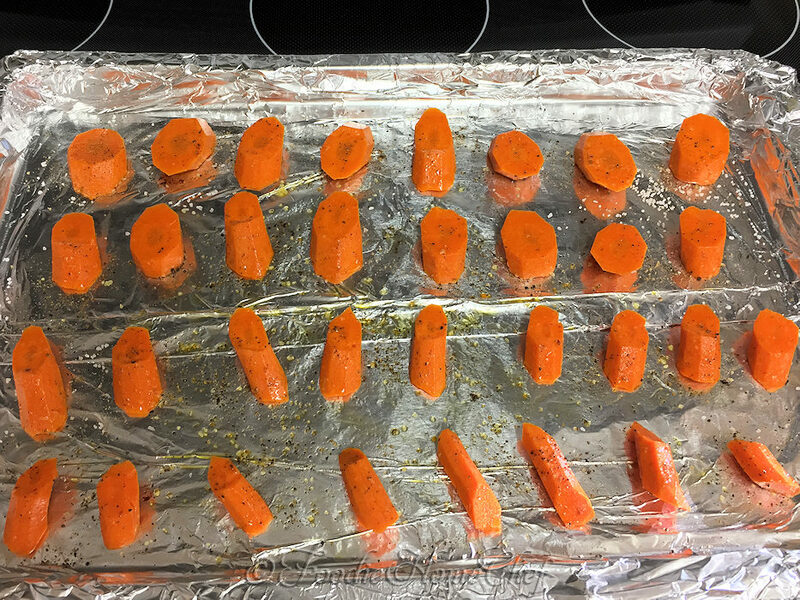 5 Spread carrots out on the baking sheet, arranging similar sizes together (see Tip# 1) & sprinkle with salt & pepper (see Tip# 2). 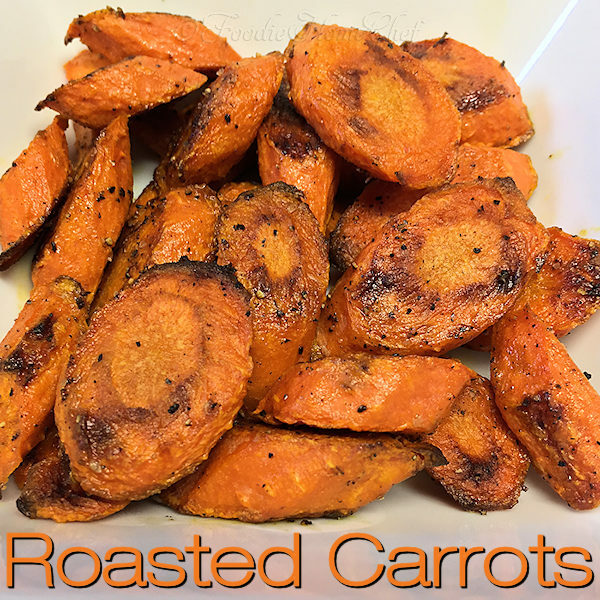 6 Roast carrots approx 25 - 30 minutes, turning them over 1/2 way through (see Tip# 3). 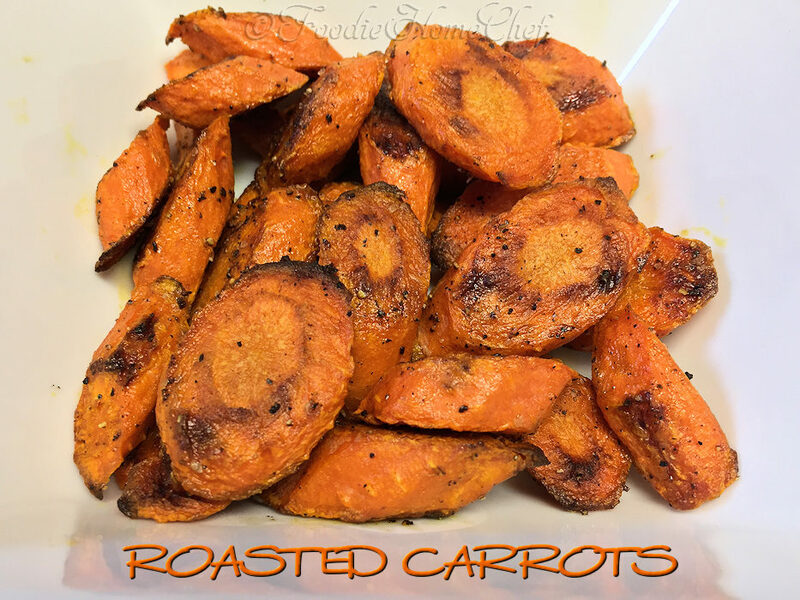 When done, carrots should be fork-tender & caramelized in spots. Cooking times will vary depending on size of carrots & you may need to remove smaller ones as they become done. 7 Remove sheet from oven & serve or transfer to a plate to cool. 8 If you want to serve more people; wipe foil with a damp paper towel & repeat procedure with more carrots (see Tip# 6). 3 Ovens tend to be hotter in the back, so once you turn the carrots over, turn the pan around when you return it to the oven. a. Let carrots cool to room temperature. 6 If you have 2 baking sheets you can bake more vegetables at the same time on different levels, swapping their positions halfway through the baking time.